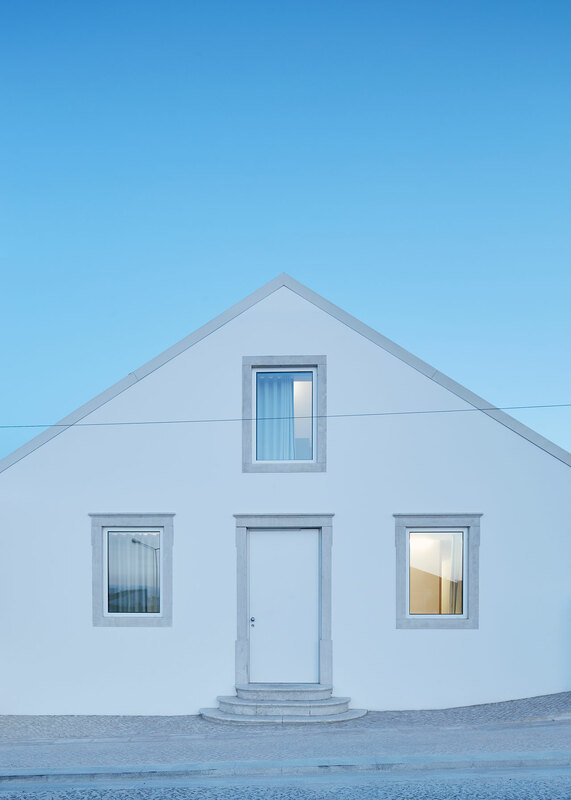 Photo by Hugo Santos Silva. 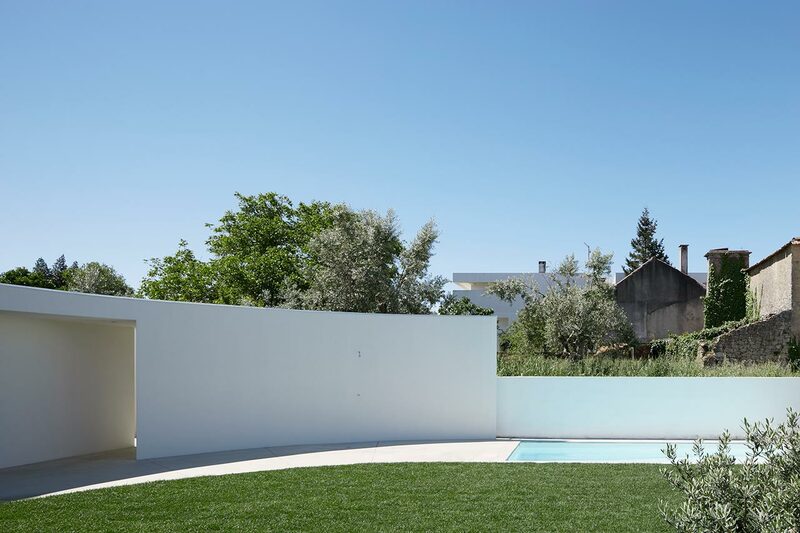 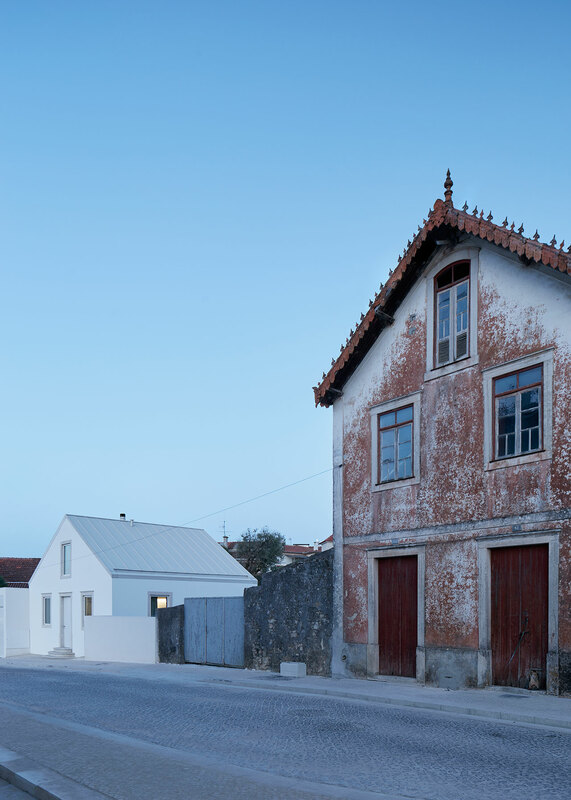 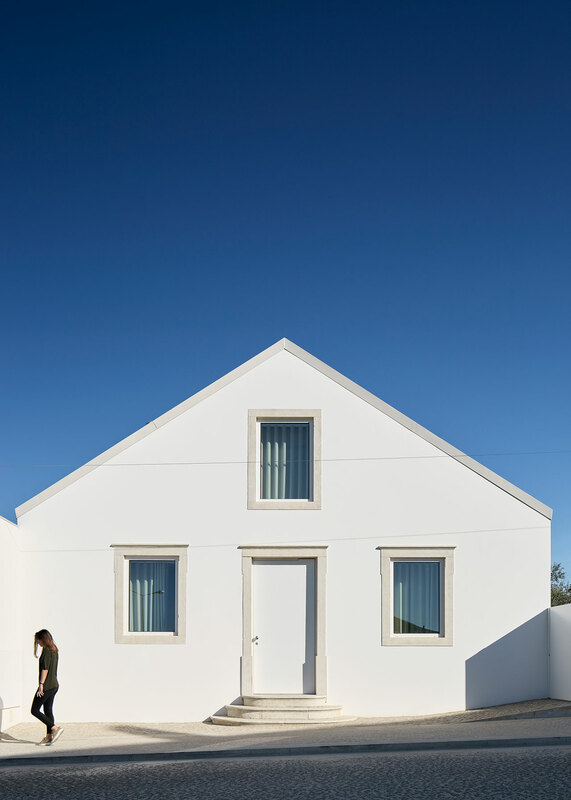 Located in the centre of Ansião in central Portugal, a historic market town with public buildings that date back to the 16th century, Casa Ansião has gone through a thorough renovation courtesy of Portuguese practice Bruno Dias Arquitectura who have transformed an old rustic house into a modern family residence of minimal elegance and maximum comfort. 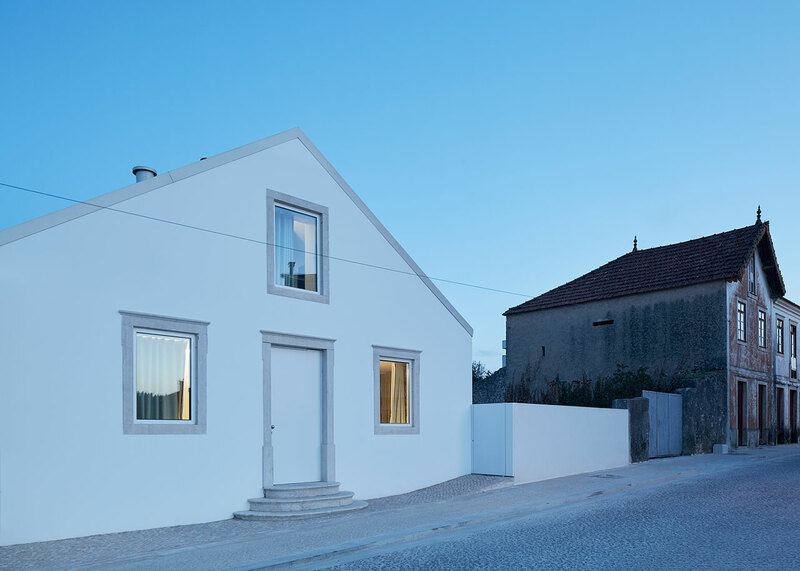 The existing structure, a low-rising house of modest proportions, fronts a rectangular lot bound by the neighbouring properties. 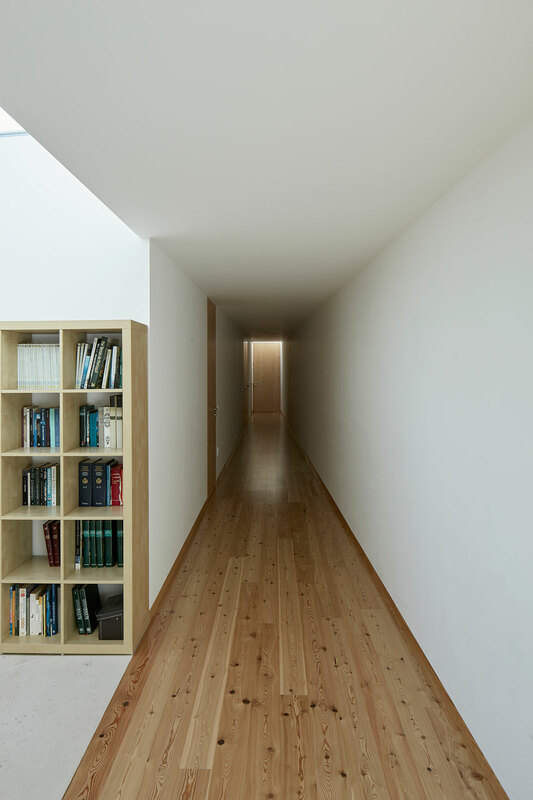 The architects have retained its front façade but have completely hollowed out its interior to accommodate a hallway and a living room, as well as a study in the attic below the pitched roof. 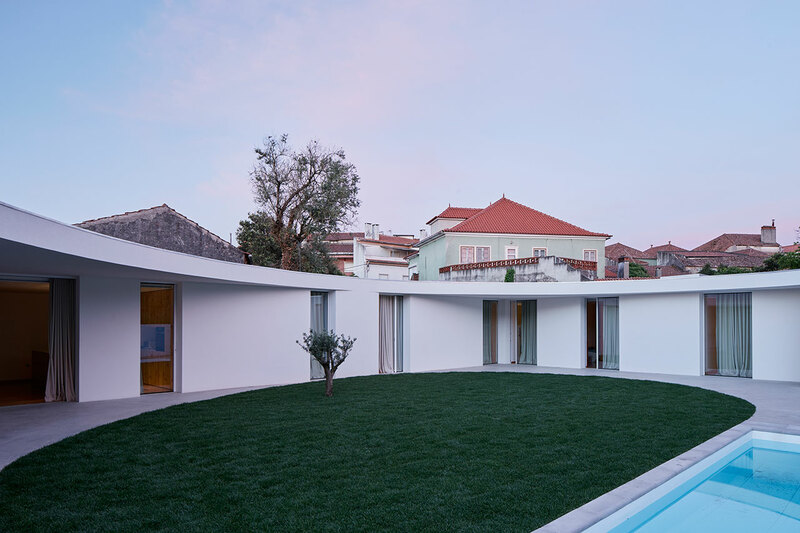 The rest of the spaces that make up the residence have been designed as a one-storey, L-shaped extension behind the renovated building thereby creating a central yard that all the rooms look out onto. 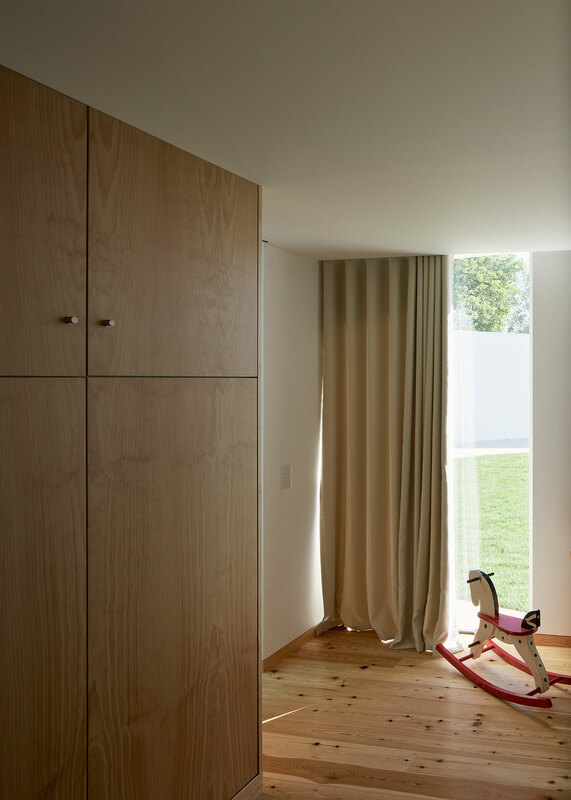 This plan, which sees the new rooms turning their back on the houses next door as they look inwards, both ensures privacy and creates a communal sense among the family. 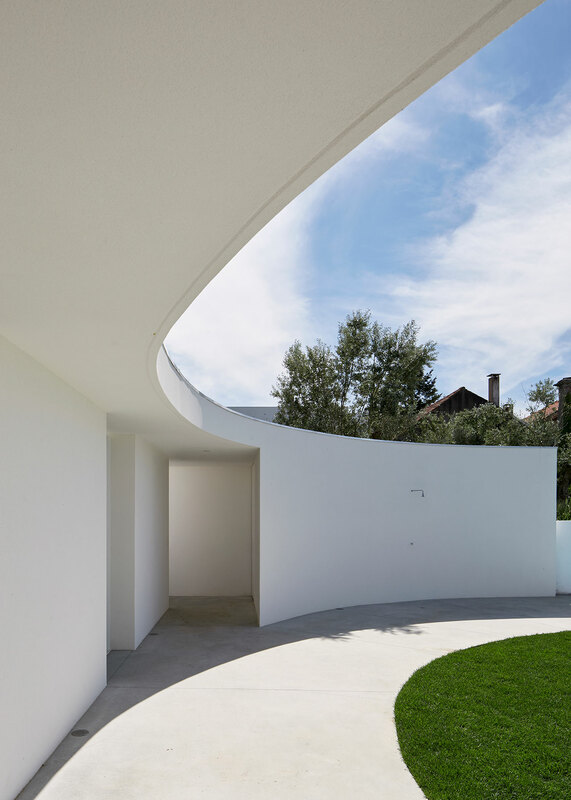 Keeping up with local architectural practices and ensuring for the homogeneous symbiosis of the new and old parts, the entire exterior has been uniformly painted white. 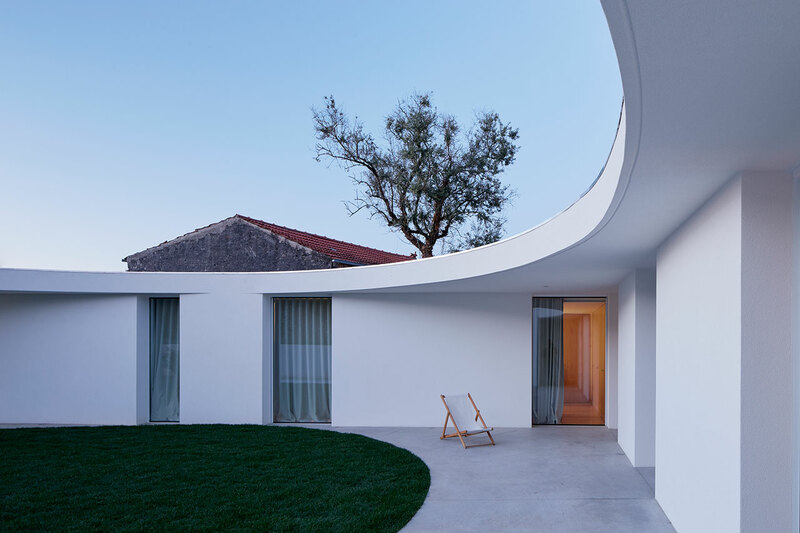 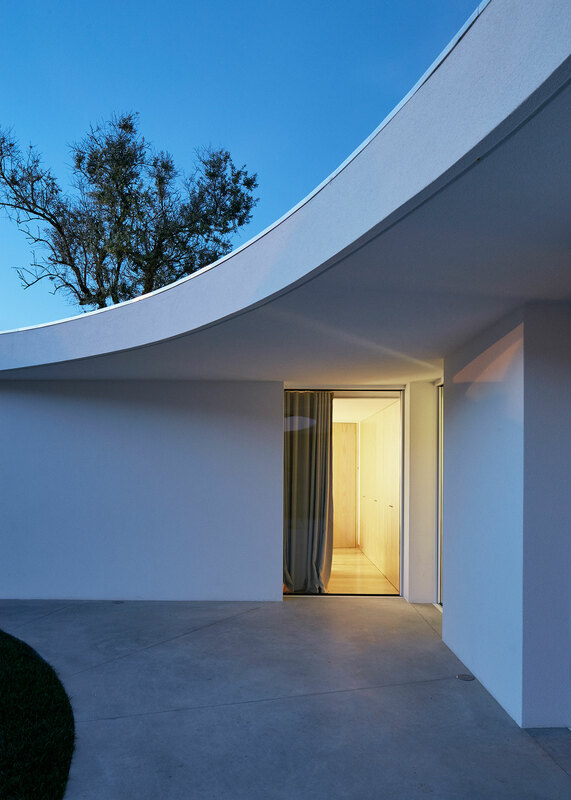 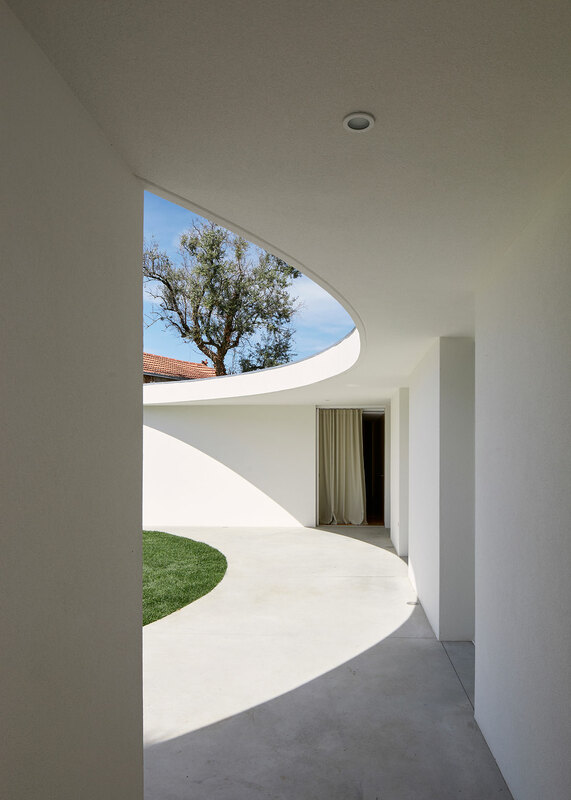 But what really ties the existing house and the new extension together, as well as provides solar shading, is a curved canopy that encircles the central yard, its crisp elliptical shape alluding to the Fibonacci spiral, an approximation of the golden ratio which the architects have partly based the house’s plan on. 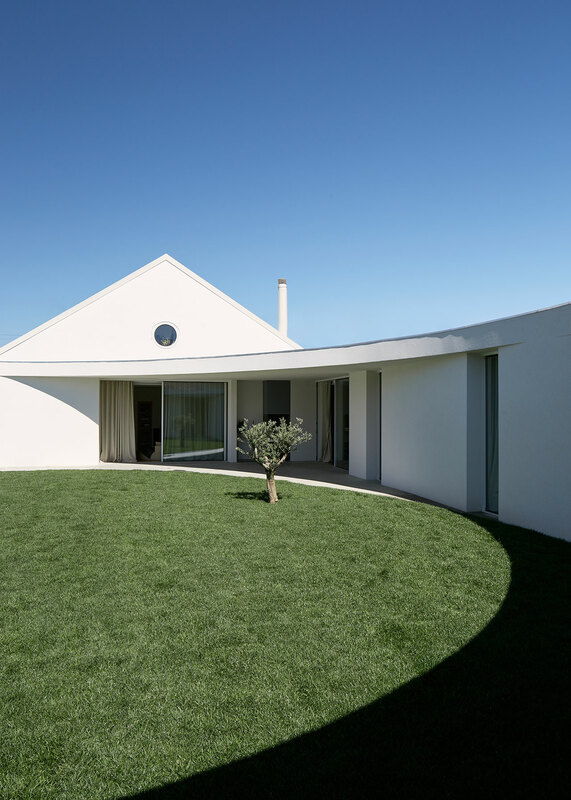 In effect, the canopy’s shape is mirrored in the shape of the lawn which makes for a mesmerizing spectacle of overlapping shapes as the canopy’s shadow moves during a sunny day against the fixed outline of the grass. 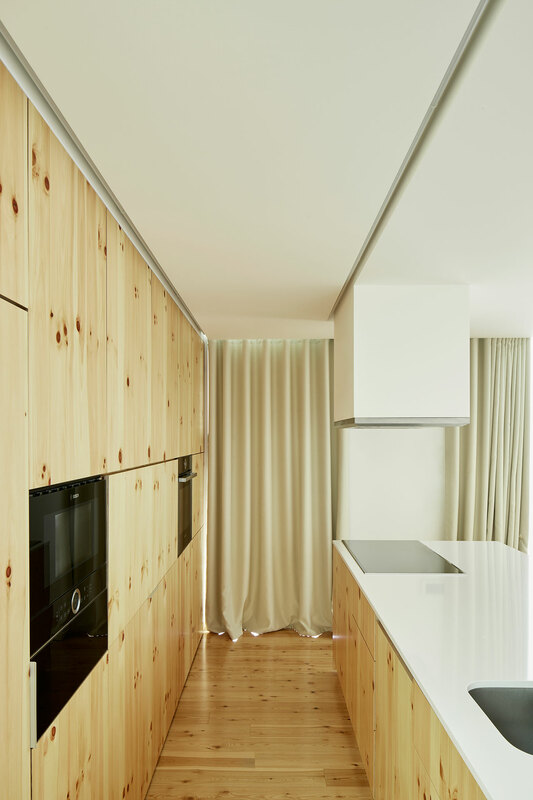 Inside, the whiteness of the walls is tempered by a warmer palette of wooden floors and wooden cabinetry in natural blonde hues, and the flowing beige fabric of the curtains, striking a harmonious balance between a minimalist approach of aesthetic coherence and a family’s need for warmth and light heartedness.